Fourth grade students designed, painted and created carousel animals (or in some cases, reptiles, dinosaurs, birds or fish). We looked at folk art as our inspiration, studying hand carved examples. Particular deatil was paid to adding a fancy saddle. Sometimes it was difficult to find a way for a particular animal to wear a saddle, like a hammerhead shark, but students used their creative problem solving brains to figure it out! 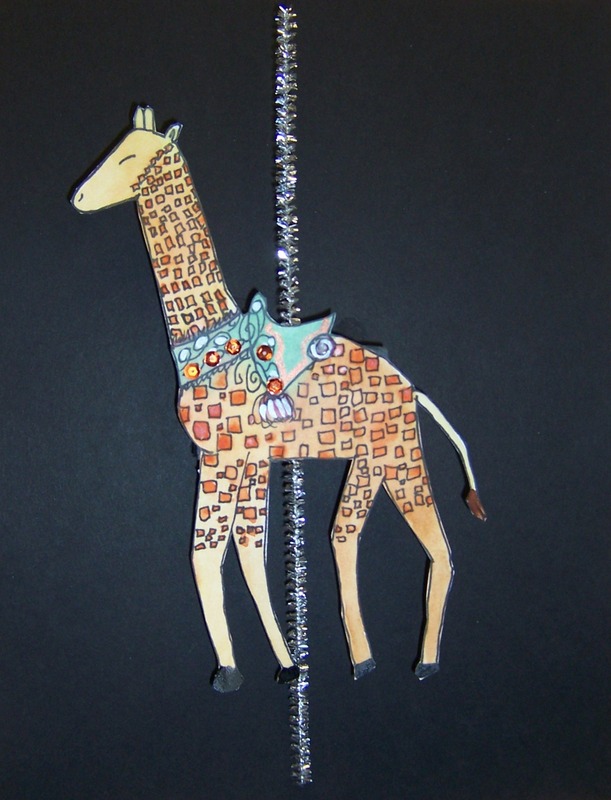 In addition to painting and cutting out, students embellished thier carousel animals with metallic paints and sequins and rhinestones. Enjoy Maggie’s giraffe and Tyler’s Chicken. 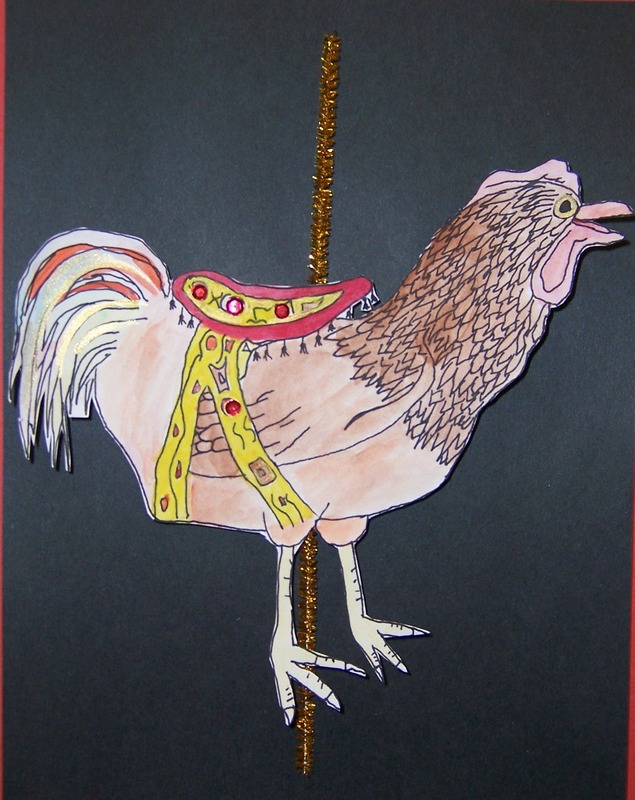 This entry was posted in Fourth Grade, Painting, Watercolor and tagged carousel animals, Drawing, Embellishment, folk art, Painting by Wilder Paint Splatters. Bookmark the permalink.